Las Vegas NV - March 7th, 2007 - A new and exciting experience every tequila aficionado simply cannot miss, as Casa Noble presents its exceptional tequilas for those willing to learn the wonders of this delicious spirit. Jose "Pepe" Hermosillo & David Ravandi, owners of Casa Noble and renowned tequileros will share their knowledge, and guide you trough the fine details of premium tequila tasting. Recently voted "Outstanding Tequila of the Decade", Casa Noble's triple distilled wonders have become standard reference point for all tequila aficionados. At 6:30pm 'meet and greet' cocktail and appetizer reception with Jose Hermosillo and David Ravandi, then followed at 7:15 pm with a family-style, 3-course, sit down dinner. Each course will be paired with a special Casa Noble tequila and a narrative presented by Hermosillo and Ravandi. The Foundation Room then closes the extraordinary evening with a complimentary gift bag for you! RSVP required. $175 per person. "The Foundation Room is a secluded club with unparalleled elegant space for professional and personal entertaining." "The Las Vegas Foundation Room, located high a top Mandalay Bay, provides a breath-taking view of the Las Vegas Strip. Members experience private access to our fine dining restaurant, exotic lounge, four secluded rooms, and banquet space. The room reveals a higher state of living in an electric atmosphere." Casa Noble is a family owned boutique distillery, that dates back to the late 1700’s, located in the town of Tequila, Jalisco. Casa Noble Ultra Premium Tequila was recently awarded "Outstanding Tequila of the Decade", it also was the first silver tequila to get a double gold medal at the prestigious World Spirit Competition and has been selected as best Tequila in Mexico by The Mexican Tequila Academy. 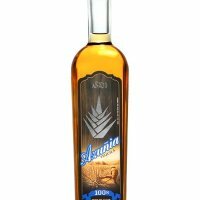 Made from 100% Blue Agave, triple distilled and aged in special French White Oak is traditionally made in a boutique family distillery in Tequila, Jalisco.